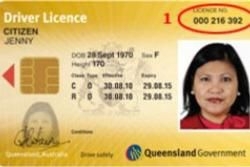 The most important thing to remember when driving in and around the Whitsundays is that you need to have a valid overseas driving license. It is not enough to have an IDP or International Driving Permit, you also need to carry along your driving license on all your car trips. If you are found not to have this, you will be charged a fine by the traffic authorities on the spot. - If you are riding a motorbike, scooter or moped, make sure that you wear a crash helmet that is Australian-approved. It is also compulsory to wear bicycle helmets. - Leased land, aboriginal sites, and private land may not allow permission for entry in all cases; verify this before you drive in. If you have plans of driving in the outback as part of your exploratory tours, make sure that you take into account a few factors. For starters, you should organize you trip carefully and be aware of the distances you will need to travel. 1. Always explore the unsealed outback roads in sturdy vehicles like 4WD SUVs (make sure that the SUV you take is serviced and in good condition prior to embarking on your outback adventure). 2. Don’t go too fast on these roads, and carry a spare tyre as well as fuel. If your vehicle breaks down and you have trouble fixing it, don’t leave it but sit inside it as it will protect you from the heat outside. Till then, you can wait for someone to come along and help you, or dial for help (keep emergency numbers handy). 3. It is also a good idea to drive with headlights on a low beam to make it easier to view oncoming vehicles in the outback. It is not uncommon to see livestock and wildlife straying on the roads or grazing by the roadside. Be extra-careful when driving at night, sunrise and sunset. Brake gently when you see an animal crossing you, as opposed to swerving wildly. If you will be travelling long distances by car, you will need to know the fuel price to estimate your fuel costs. Use this link http://motormouth.com.au/countryprices.aspx to get up-to-date unleaded, diesel and E10 prices in and around the Whitsundays. Staying in contact, especially if you will be driving in the outback, is important. It is a good idea to check the mobile coverage in the different areas you plan to drive to. Talk to your network provider or refer to the Department of Broadband, Communications and the Digital Economy for more information (http://www.dbcde.gov.au/ ).